I’ve just got to say that the amount of positive response and “likes” that we’ve gotten on our Facebook page since the launch yesterday afternoon has by far exceeded my expectations! Thank you everyone from near and far who’s interested in hearing about our trip. It’s inspired me to write again today and talk a little bit more about our trip and why we’re doing this crazy thing called a thru-hike. 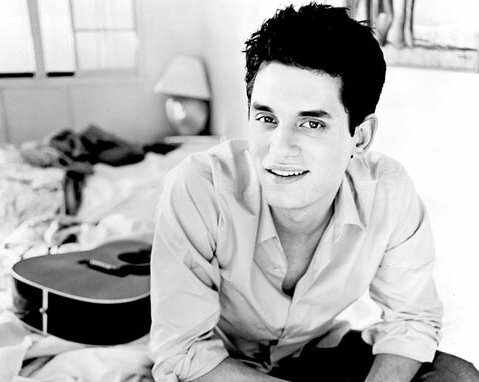 But first, let’s talk about John Mayer. From what I gather, people either love or hate the man. I’m a fan, but Miles and my best friend are not. We all still get along though despite our musical divisions. Spot on AT reference John Mayer. Spot on. So I’m not having a quarter-life crisis or anything as Mayer did in his 20s, but Miles and I heading down to Georgia and leaving everything behind, the song definitely makes you think about the sacrifice and risk anyone takes in taking a leap of faith and starting anew, whether it’s for a few months in the woods and for years across the world. And with that I will lead you out of a discussion of the musical quality of John Mayer and into my reasons behind my thru-hike. As I said, there’s no quarter-life crisis going on with me, actually I’ve got a pretty good thing going here in Portland. I love where I live, I love my work, and I’ve got an awesome group of friends and family that I get to see everyday. Besides the fact that Miles hasn’t moved down to Portland yet, I’m right where I want to be. But the more I’ve thought about it, that’s all the more reason to go on a life-changing adventure. I’m comfortable. I’ve got everything I need. I’m in a good place, as they say. I know however, that when I extend beyond my comfort zone, I become even more confident and outgoing than I was previously. Take college for example. I had lived in the same house my entire life, grew up with same friends since preschool and kindergarten, and knew only one life in a small, close-knit community. I wouldn’t trade any of that for the world. I love where I grew up. But when it came time to go to college, I chose to go to Emerson College in the big city of Boston. It was a huge change for me, going to live in a city and having to make all new friends. It was hard at first and I even thought about going back home. But I didn’t. I followed my gut and knew I had made the right choice. It was tough during that first semester, but it got easier every year. I fell in love with photography there and became a city girl. I loved it. Once I became comfortable again, I made another life-altering decision and decided to study abroad in Florence, Italy during the spring semester of my junior year. I had visited Florence on a school trip in 8th grade and I had wanted to go back ever since. I think it’s easy to say that studying abroad was the best decision I have ever made. Again, I went into this whole experience without knowing anyone since I chose to partake in a program outside of Emerson. It was a mix of emotions going into the whole experience and I worried that I would never make friends, the classes would be too difficult, and that I would miss home too much. Well, none of that ended up being true. I met my best friend Alyssa the first day, the classes were interesting, and I didn’t want to come home once May came around. Florence was my new home. I felt like a new person when I came back to the States. Now my thru-hike has become the Emerson. The new Florence. I’m going to totally uproot myself from everyday comforts in exchange for what I hope will be another life-altering experience. I know that it’s not going to be easy at first, but if the AT is anything like what I’ve gone through before, the journey will get easier and more exciting as it progresses. Well, I don’t mean easier in the sense of terrain of the trail since it’s pretty clear that the Whites and Maine at the end are some of the toughest sections of the trail; but, that I’ll adapt to a new mode of living and enjoy being dirty, smelly, and hairy. So, Reason #1 took quite a few paragraphs to explain, but basically what I’m saying is that I’m hoping that his experience will change my life in some way. I’m not sure exactly how and I hope it’s in a good way, but I think that’s the exciting part of it all. Reason #2: I love being outside. If you ask me what I like to do, or what my hobbies are, the majority of my list will include sports and outdoor activities. Soccer, basketball, running, tennis, biking, traveling, skiing, snowboarding, and landscape and portrait photography. Throw in drums, Downton Abbey and cats and you’ve got me figured out. Oh, and hiking of course. Fun fact #1: I’ve only done one overnight backpacking trip. It was for one night. And it was last year. I love hiking and I’ve done a lot of it. Both Miles and I have hiked out west in Zion National Park and have hiked the Grand Canyon as well. We hike in Acadia National Park, less than an hour from where we grew up, multiple times a year. We’ve hiked Katahdin and Knife’s Edge too, which was by far my favorite hike of all time. We only had time to do an overnight trip in the Bigelows this past summer, although it still helped us out a lot in figuring out gear and everything. But, from what I hear we’re not the only people who have gone out on the AT without extensive backpacking experience. We’ll prepare ourselves as much as possible beforehand and learn as we go. That’s how life goes, right? Fun fact #2: I’ve never gone more than a couple of weeks without shaving my legs. Make that a few days for my pits. The sight of this makes me cringe, but it’s time to embrace a razorless life! Fun fact #3: I have the insatiable appetite of a 16 year old male. Trust me. Ask the waiter at J.P.’s Bistro in Portland. It’s true. I thought maybe after I hit my growth spurt when I was in high school that all this nonsense might stop. It didn’t. I’m 23 and can out-eat more people than I’d like to count. I bring this up only because I’m kind of excited to be able to eat whole pizzas and pints of Ben and Jerry’s without the caloric consequences I would receive in real life. I also bring up this fun fact because I want to make sure I have enough food to keep me on my game while out on the trail. I know that there will be nights when I go to bed hungry, but maybe this will be a good test of the crazy eating gene I got from my ancestors. I’ll blame it on them since they’re not here to fight me on it. Reason #3: I don’t want to put off my dreams for another day or another year. I don’t want to procrastinate on my goals and keep making excuses to put my plans on hold. I knew that 2013 was the year. It was now or never. I didn’t want life to get in the way. Somedays I think about the things I could be doing otherwise if I wasn’t thru-hiking, like spending time with my nephew who was born in October and continuing to grow my photography business with my sister. However, I know that those things will be waiting for me when I return. Our thru-hike is something that we do now or wait and wait and most likely never get to doing. We decided that the best time is now and when we get back Miles can go to grad school and become a teacher, while I can go back to my photography and video editing pursuits, which I hope one day that I can support myself with. Reason #4: I want to have the story of a lifetime. Something that I’ll always remember and be able to tell my kids and maybe inspire them to take the same journey when they’re 23. I think what makes thru-hiking so awesome is that people from all walks of life are able to get out there and hike all 2,184ish miles of the AT. Miles and I encountered two women in their 60s when we were hiking the Bigelows this past summer. They were thru-hikers who were only about 180 miles from Katahdin. We didn’t know their names, but I’m almost 99.9% sure that they made it to Katahdin. I think of those two women often and I wonder what their journey was like and what led them to thru-hike. I think it’s pretty awesome that 18 year olds fresh out of high school and women pushing 70 can accomplish the same goal of completing a thru-hike. Maybe they go at different speeds or have different hiking philosophies, but they all have a chance of getting there and sharing that experience together. Reason #5: I want an adventure that will challenge me in every possible way. And I’m pretty sure that this might be the one. My motto for the trail. Tally-ho! I totally understand your reason for wanting to do this hike! You have my blessing and as your mom, I wish you the best. May this adventure be all that you hoped for and I will be here supporting you in any way I can. Thanks mom. It means a lot that you and dad are behind me on my decision to thru-hike! 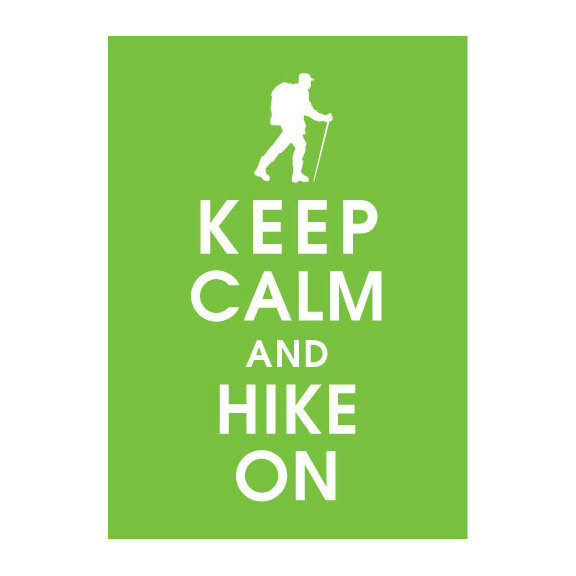 ← Announcing our 2013 Appalachian Trail Thru-Hike! Dirigo Bound starting on March 14.